Swindon Town remain top of League One following a 3-1 victory over Chesterfield. Here’s a selection of your photographs of the matchday submitted to us via Twitter #stfcpics. 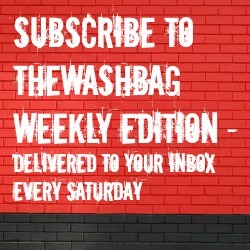 @arty_kids – @thewashbag there’s 1 from Coventry I just found! @Wiltsplus Town 3 Chesterfield 1 – a good afternoon ,3 points and plenty of fans signing up to @Truststfc prior to the game ! @mightymyte Join @TrustSTFC today, we’re near the Arkells.. 1200 members and growing! @Kaysie_B – @thewashbag That sign refers to you, Rockin’ Robin! @dezzysbird @thewashbag These 2 stars did the half time challenge today and scored 3&1 respectively #hattrickatthetownend! @Kaysie_B – @thewashbag The scoreboard couldn’t keep up with the excitement!